Migrant Emotions - Become a more settled migrant - Read The Book: Why are migrant doctors driving taxis? Why are migrant doctors driving taxis? What will help migrants who are overqualified? 1. Migrant qualifications may not be recognised in their host country. Professionals (engineers, doctors, nurses, professors) often must go through a registration process or assimilation process to bring them ‘up to standard.’ This registration process is often time- and money-consuming and may not be the highest priority for the migrant when they first arrive. a. 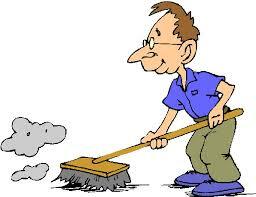 A migrant may have migrated to be with their spouse or family member whose skill set had been in demand. b. They were an ‘economic migrant.’ Countries offer immigration if the migrant invests in the host country. c. Humanitarian reasons, political asylum or refugee. 4. The host country may have a drive for labour in an industry, for example the dairy industry in NZ. These employees are on work visas, their qualifications and experience may not match the work they are doing, but the hope of becoming permanent residents is enough for them to work even if they are underemployed. 5. The language differences may cause a lack of confidence in communicating or promoting themselves at a professional level. "Discrimination is actually preventing New Zealand from fulfilling its full potential." a. Fulfilling the immigration requirement in its economic form such as a business visa, where the migrant must show that they can manage a business with staff and budgets etc. b. Being self-employed can limit being marginalised. In a large organisation a migrant runs the risk of being marginalised, through their accent, their language, their appearance or the fact that they are more qualified than their peers or superiors. 1.Survival first. A conversation recently with a Russian migrant to New Zealand reminded me that initially a migrant’s need is survival. Moving to a new country there are so many changes for their brain to get used to (culture shock) that adapting to those changes consumes energy. 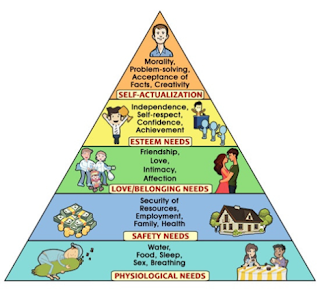 On Maslow’s hierarchy of needs, a new migrant’s immediate needs are at the bottom of the pyramid, the physiological and safety level. At this early stage of migration, underemployment can be perceived to be acceptable, even desirable. Later, and this may be a few years or decades, the underemployment may have a detrimental effect. 2. Undervalued. A migrant being unable to put their experience and qualifications to use, or not being valued or recognised for their full potential, can cause anger and frustration. 3. Isolation. A migrant can feel isolated because their co-workers feel too different to them. Having a higher qualification can be added to the reasons their co-workers feel different to them, such as accent, language and appearance. 4. High expectations on their children. Second generation migrants often achieve a higher level of employment than their parents. The second generation doesn’t have to familiarise themselves with education or the idiosyncrasies of a different country. The children of migrants may feel extra pressure to succeed in a way that their parents couldn’t. 5. Poverty, as you are not meeting the needs of your family in your host country, and/or your remittance expectations to your country of origin. I would love to hear your experiences and comments. Post them below.